The Mayor of Novi Sad, Miloš Vučević, has met with the representatives of the Embassy of Greece at City Hall. The Greek delegation is led by the Adviser for Economic and Trade Affairs at the Embassy of Greece, Katerina Cunaku, while the member of the City Council for the Economy, Milorad Radojević, and the Head of the Office for Local Economic Development, Goran Sečujski, MSci, have been at the meeting on behalf of the City. 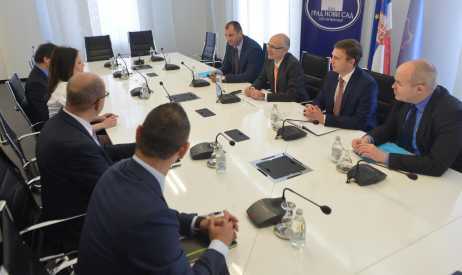 At the meeting, the participants have agreed that there are traditionally good relations between the City of Novi Sad and the Embassy of Greece, as well as that numerous companies from this country have been successfully operating in Serbia and in the city for many years. Guided by these positive examples, the representatives of the Embassy have emphasised great interest of businessmen from Greece who would like to come and invest in Novi Sad. A concrete proposal that is presented at the meeting concerns the forthcoming Fair of Tourism which will be held in Novi Sad in the autumn and which is mapped as a potential meeting point for the Novi Sad business people and the representatives of Greek companies. Meetings have been planned with interested parties which will be aimed at discussions about cooperation primarily related to the field of tourism, as well as the food industry, given the fact that Greek companies interested in coming are strategically oriented to this industrial branch. The talks will be led between potential partners in similar fields of activities, according to the B2B model. 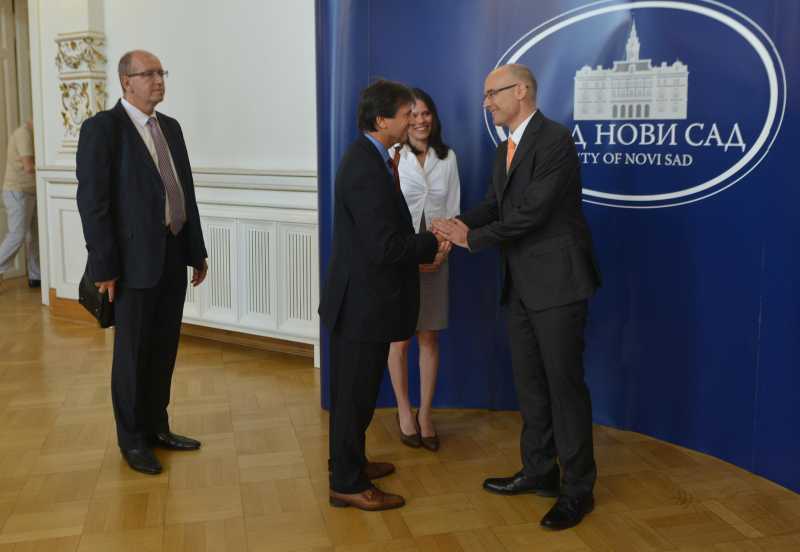 Also, the representatives of the Embassy of Greece have indicated that the appointment of a new ambassador to Serbia will occur in the next period, and that accordingly, this will be followed by yet another visit to the City of Novi Sad in the near future.